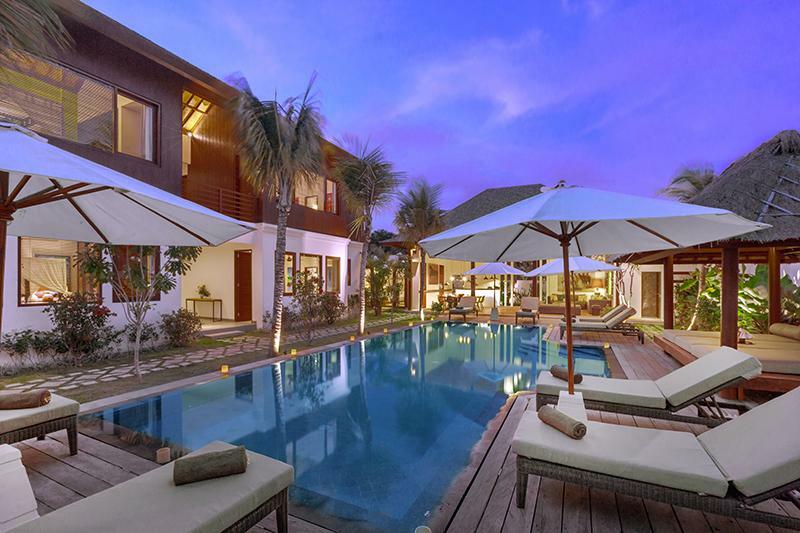 From Seminyak city center, take Drupadi Street, walk under the imposing porch delimiting the private development "the Jero", walk down this beautiful avenue lined with luxurious villas that leads to rice fields. You are now in front of the entrance to the villa 3618. Car or bike, no parking problems. 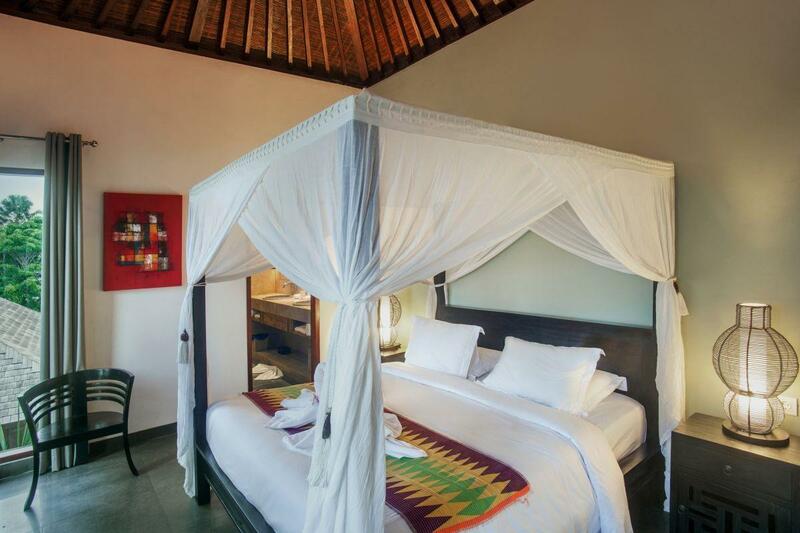 The villa's master bedroom is located in ground level seperate with another 2 storey pavilion. Completed with Ceiling fan and Air conditionned, king sized bed, cabled TV, DVD player, ensuite bathroom with large bathtub, rain shower, 2 washbasins, walk-in closets with mini-bar and safe. 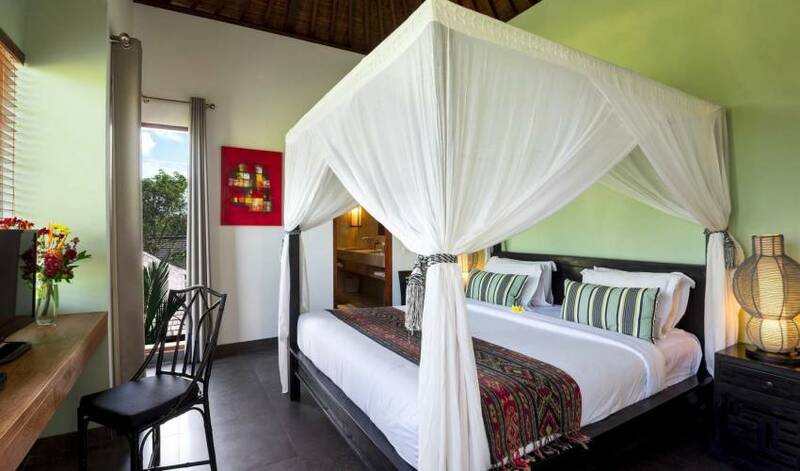 The bedroom is overlooking the pool, and beautifully tropical gardens, facilitated with flat screen TV’s to ensure a total restful holiday. 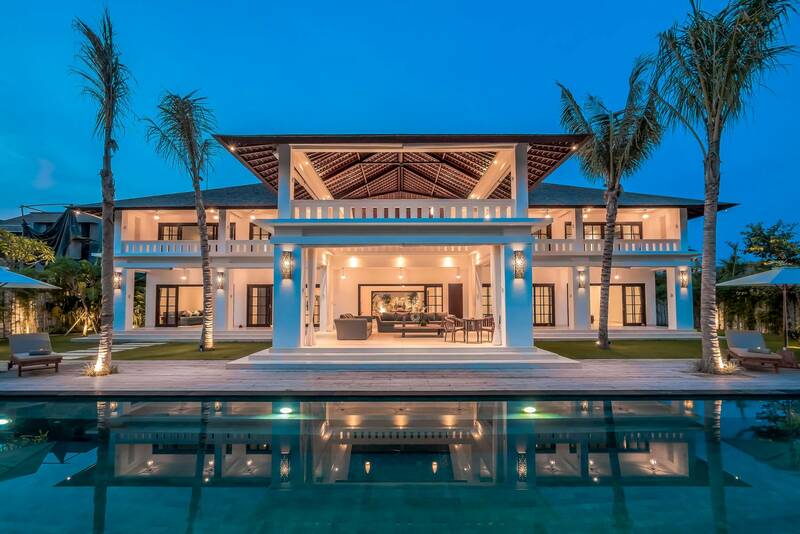 These seperate pavilions consists of 3 guests bedrooms on the ground floor and two on the first floor. 3 rooms queen sized bed, 1 room with 2 single beds. 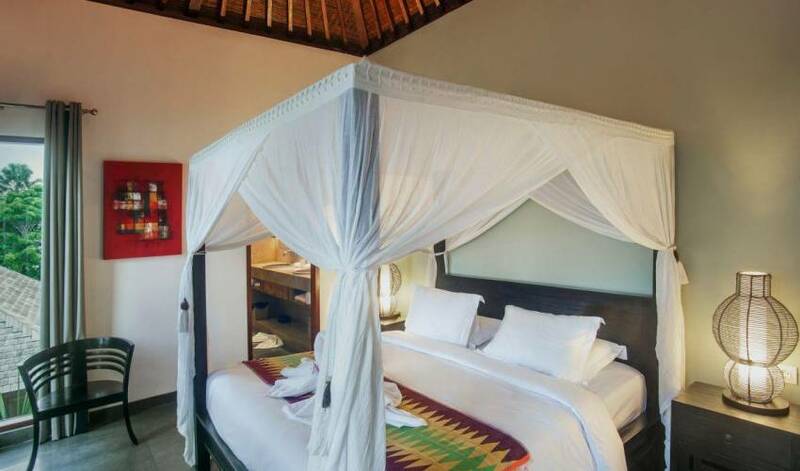 Guest bedroom 6 can communicate directly with the chamber 6 which is composed of bunk beds: 2 doubles bed + 2 single beds. 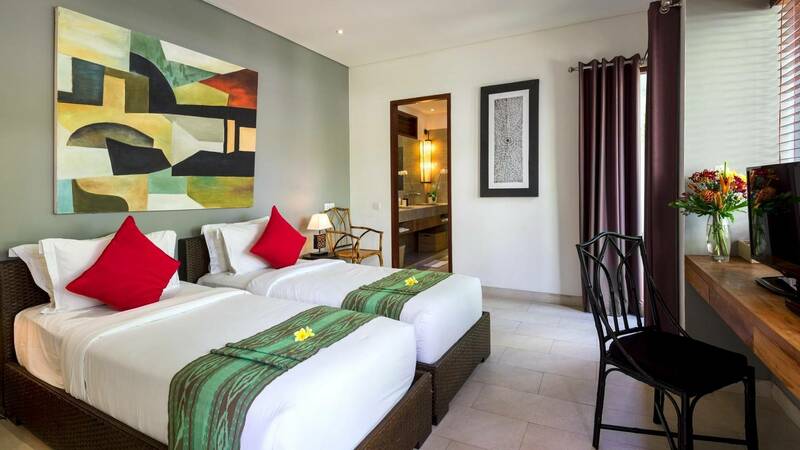 All bedrooms are also complimented by ensuite bathrooms, rain shower, wc, & 2 washbasins. 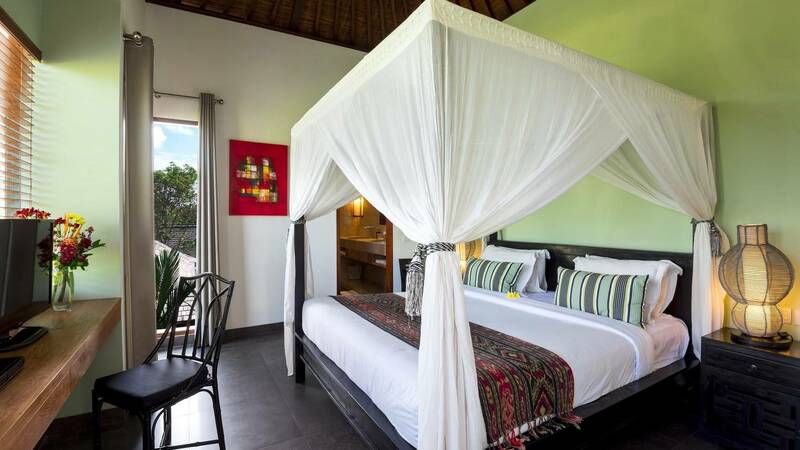 they are completed with Ceiling fan and Air conditionned, cabled TV, DVD player, cloth dressing with mini-bar and safe. 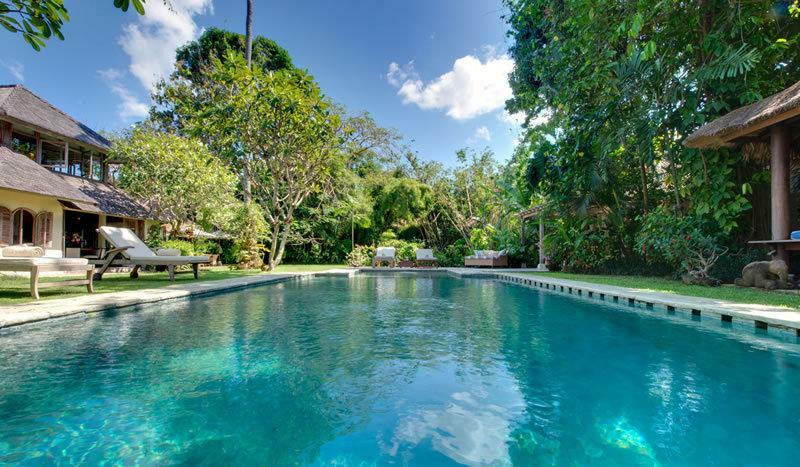 Flanking the 16 metre mirror swimming pool with overflow, is a well manicured lawn lined with coconuts, fragrant frangipanis, bougainvillea and others tropical plants. 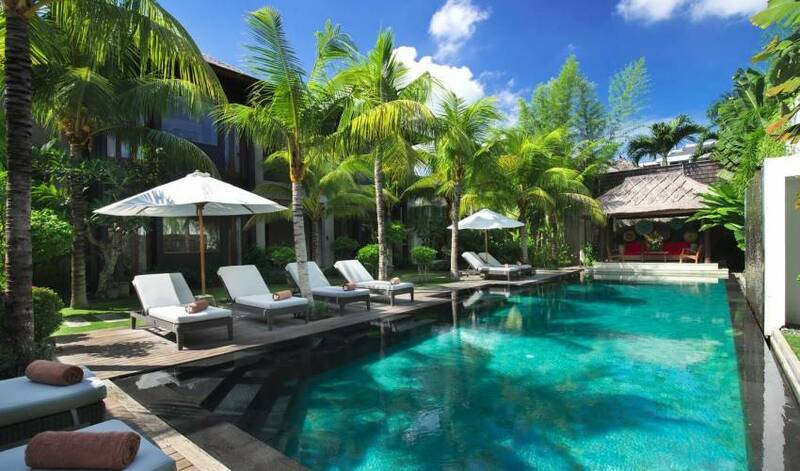 The pool deck is furnished with comfortables sun loungers shaded by umbrellas. 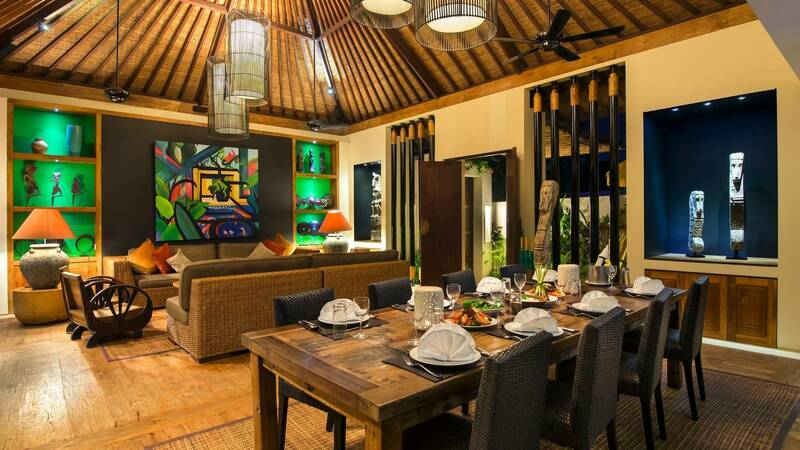 The villa's lounge opens widely on the quiet garden. 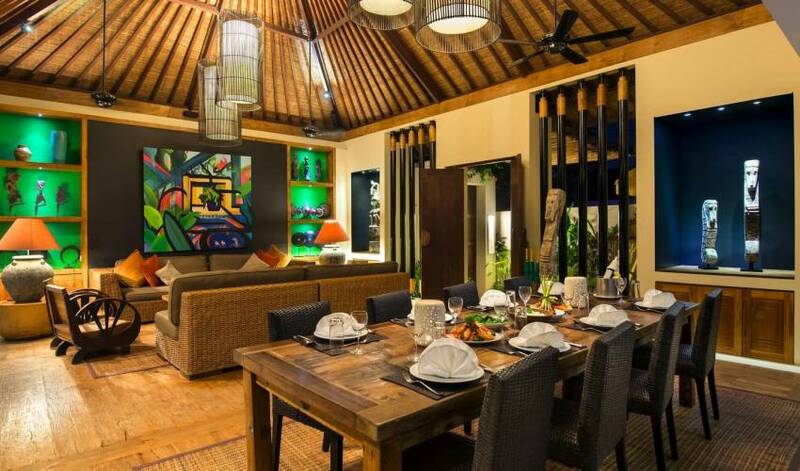 With old teak floors, ceiling fan, rattan sofa and old javanese arm chairs, this is the perfect place to sit back and enjoy your favourite music on the Sony sound system. To the rear of the lounge is a small walled garden with lotus in the pond that creates a cool ambiance. 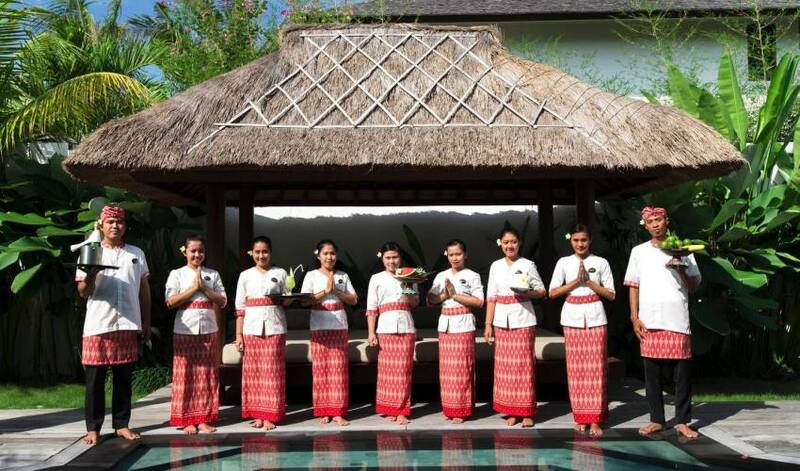 The villa's kitchen staff are at your service to prepare daily breakfast. For lunch and dinner, our manager can provide you at a reasonable cost, the service of an external chef. 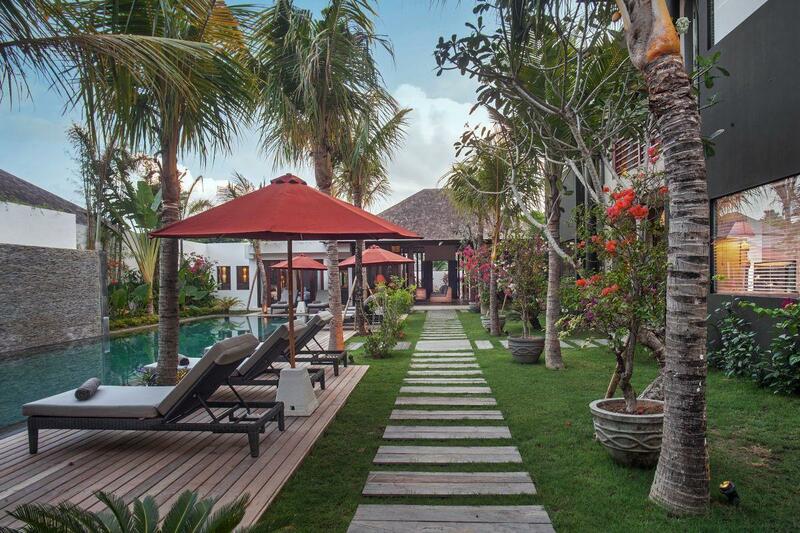 Our families stayed at Villa 3618 during July 2015. We were managed by Madhavi from Villa Getaways. Madhavi was really helpful and she attended to all my inquiries and concerns. She was prompt and responded to all my emails in a timely matter. We stayed at the 5 bedroom private villa with 2 other familes (6 adults, 6 kids) and there was plenty of space. Rooms were spacious, great open living/dining room, refreshing pool and even a spa/massage room which we certainly took advantage of. The staff were extremely attentive and met all our requirements and needs. 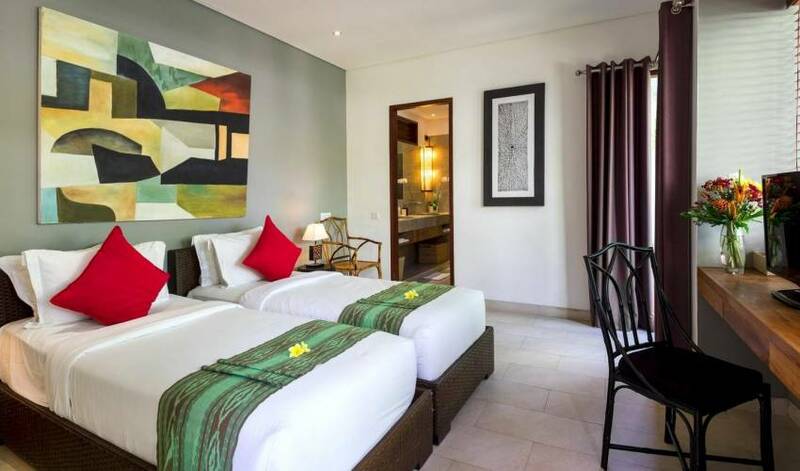 The rooms were cleaned everyday and sheets/towels were changed on a daily basis. Even though breakfast was included and it consisted of the typical American breakfast, the staff were more than willing to provide us with an Indonesian breakfast as an alternative. 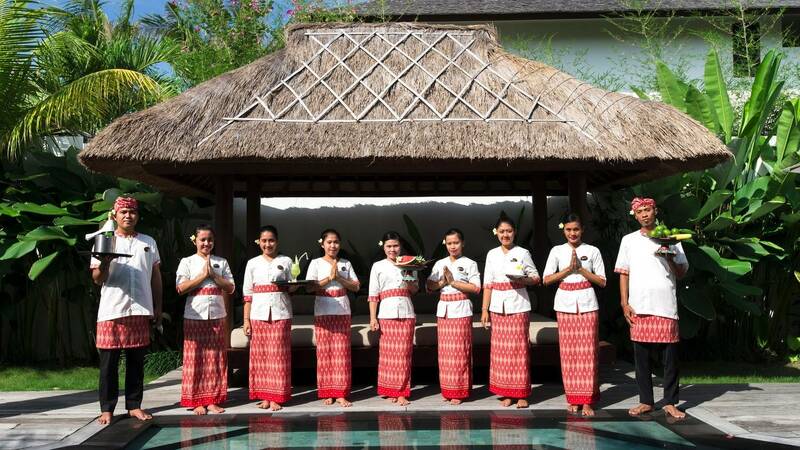 Overall, we were so happy with the level of service that they provided, it made our first holiday to Bali such an enjoyable and memorable experience. 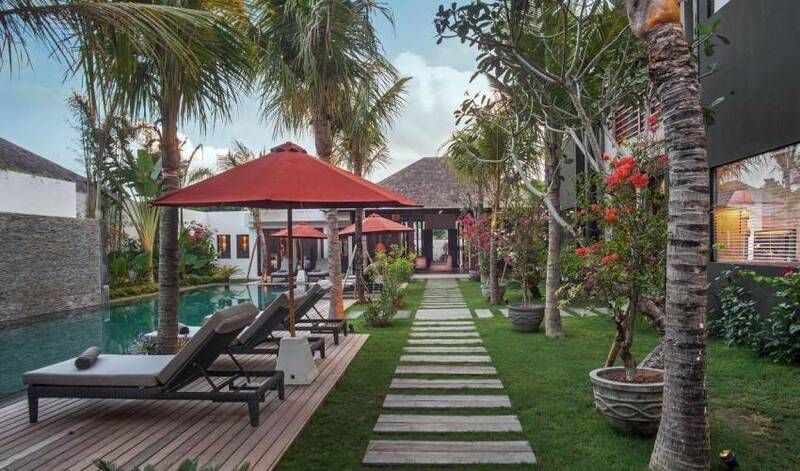 Close of the main street of Seminyak, only a short stroll away. 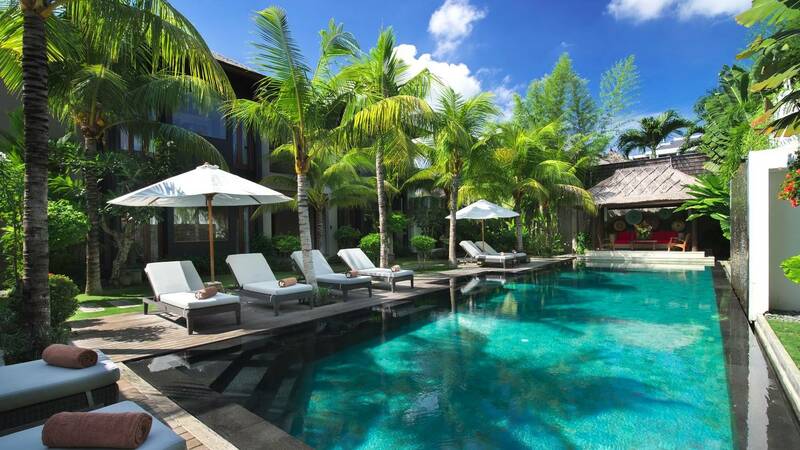 Would definitely recommend Villa 3618 managed by Madhavi from Villa Getaways!